As long as there have been brands, there have been consumers; and, indubitably, a delicate relationship between the two. Never before, however, has this relationship been as transparent and imperative as it is right now. Companies, both large and small, are learning on a daily basis that one disgruntled consumer’s voice resonates exponentially further than it did even a few years ago. Even colossal, time-worn companies are learning that “The bigger they are, the harder they fall” applies outside of everyday colloquialisms. 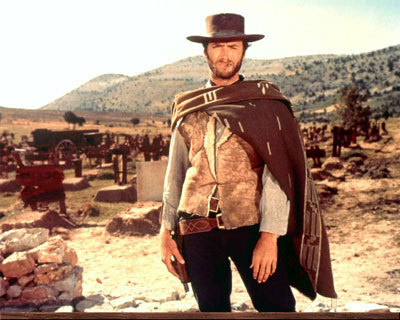 With problems always inevitable, escalation of troubles comparable to wildfires, and consumers issuing the corporate burn notices, the world of social CRM is a tinderbox comparable to the Wild West with its open prairies, rolling hills, and relentless heat in late summer. Yee Haw! While this example has become famous among many social media circles, it’s a tale definitely worth retelling. Set just a couple years ago in early 2008, gargantuan auto-maker Ford was just recovering from countless PR stumbles stemming from their economic circumstances and the bailout of their primary competitors, which they did turn down. Just as things were looking up and their CEO had set the company on the right path, choosing to channel their all-American roots and “pull themselves up by their bootstraps”, a disaster occurred that could’ve been the straw that broke the camel’s back. 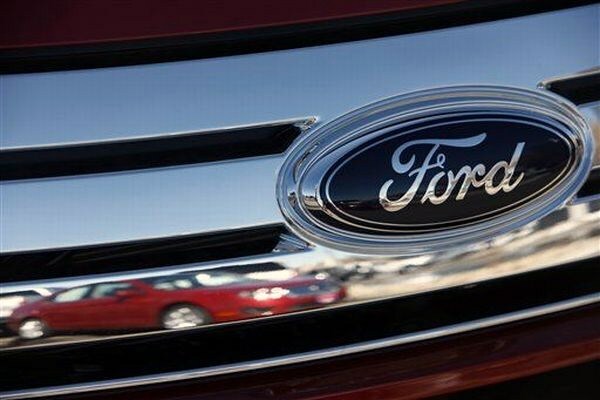 The attorneys associated with Ford Motor Company, for a reason understood by few, issued legal notices, alerting countless brand enthusiasts running Ford-related websites and discussion boards that they were being sued by the company for unlawful use of domain names, banners, logos, and merchandise. This prompted a wave of internet frenzy, spinning off blog articles with titles like “PR Disaster: Ford Suing the Only People Who Actually Still Care about Ford Cars.” In alienating their closest, and maybe only remaining, allies, disaster seemed inevitable for Ford…until…enter Scott Monty, social media Sheriff at Ford. Scott Monty, known throughout the world of Social Media, was a recent and progressive hire within Ford’s Social Media division. The social media guru, upon hearing the news, got to work isolating the damage while the rest of the company remained oblivious. After looking at numerous blogs from this time period, it seems that Mr. Monty was able to respond personally, and with genuine acknowledgement and remorse, to many sources within the first hour or two of the online frenzy. Although they didn’t exist at the time, he followed all the Rules for Preventing a Social Media Disaster. It’s amazing what owning up their actions and connecting on a personal level was able to do for Ford. If you haven’t heard this story before, it’s certainly a testament to the efforts of Ford and Scott Monty. Like with anything else, Social CRM runs the spectrum from good to bad with plenty of grey area in between. While the conclusion of this issue left a black mark on Yum Brands reputation, the original problem was grey- and furry. Never heard of Yum? It’s the parent company of KFC and Taco Bell that was dragged into the spotlight when a video of a dozen rats scampering around a New York-area location was filmed by a local station and, consequently, syndicated by other stations, countless YouTubers, and bloggers around the world. 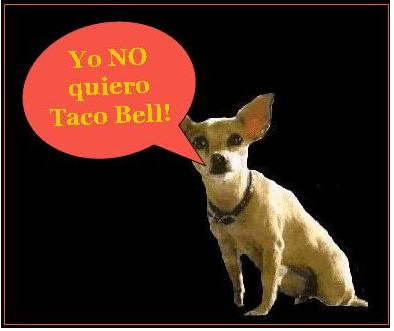 Eventually picked up by big-name sources like Advertising Age in less-than-flattering articles like “Taco Hell: Rodent Video Signals New Era in PR Crises”, it became evident to everyone, except perhaps the corporate management, the scale of this problem. As mentioned in the rules earlier, this is a clear example of rampant “escalation”. In stark juxtaposition to Scott Monty’s 30 minute turn-around time, the people at KFC and Taco Bell jointly composed a press release a little over 6 hours after the story was out. The statement went out on traditional PR wires and on the company’s page under the category of “Company Info” and the sub-heading “Press”. While this situation was almost certainly more likely to put a wrecking ball into its respective brands’ reputation than the situation at Ford, it was handled with a fraction of the tact and repose of Ford’s SM department. This case study is just more evidence of the sensitive nature and unpredictable scope of escalation in Social Media. I guess at this point you’re wondering how it gets uglier than rats at your favorite fast food place. (Maybe former favorite). I’ll tell you how- it happens when there is no clear mistake or disaster, but instead a persistent situation that pits core American ideals and sentiments against themselves. I’m talking about none other than the “New York Mosque” controversy of the last few weeks. While I certainly don’t want to get political on this, it’s apparent to anyone with a pulse and base sense of perception why there is controversy to be had in this situation. Specifically, though, I want to highlight the response efforts of Park 51 or @Park51, the lower Manhattan Community Center Project. The reason I highlight this particular, and ongoing, situation, is because it’s rare that Social CRM falls as far into the grey area as it has thus far in Park 51’s interactions. Last week, the community organization made noise in the SM world when they announced the “repurposing” of an intern amidst controversial, possibly anti-Semantic comments. Although the organization apologized and dedicated themselves to lightening up on their comments, they were very conservatively described by the same article as “snide” and “snark”. Comments like “God you’re dense” and “If you won’t simmer down and be polite daddy will have to put you in the corner”, really can’t be taken any other way. On the other hand, the group has been steadfast in responding to equally (and almost undoubtedly worse) comments with a concrete, mostly PC, but altogether unapologetic stance. This brings us to the primary point of why this case is so “ugly”- there is no clear answer. Unlike with Ford, where obviously an apology and punitive payment of sorts is in order or Yum Brands where an apology needed to be first of many changes both in the PR and operational channels, this situation is simply a disagreement of principle. Even the foremost of constitutional scholars or closest relatives to those who were taken in 9/11 would, albeit subconsciously, admit that the other side has a point. As Social CRM develops, inevitably more, both by volume and distinction, situations are going to arise- many of which will be hotly contested and hit close-to-home for many people. Scott Monty probably saved Ford and its shareholders millions of dollars in potential revenue and reputation loss by his masterful handling of the situation; whereas Yum Brands took a well-documented stock dive that was certainly no coincidence in the wake of their CRM fiasco. Both these brands were backed against a wall by a wave of negative consumer opinion and one was able to fight their way out heroically, but how would Scott Monty have responded if there was an equally strong constituency crying for legal enforcement of the copyright infringements that did occur? The situation is no longer easy to address. Maybe these grey-area situations are commonplace for traditional PR, but this is a whole new arena with a whole new set of rules. I know that I, for one, am interested to see how this new and mercurial sub-set of Social Media will develop. I can tell you one thing for certain, it will develop. ← “Too White” to Live in America? Nice anecdotes. Relevant and of concern to the businesses too. Only question, why are you labeling these incidents happening on social media as social CRM? What, according to you, is social CRM? Hope you understand my predicament. I am seeing so many different aspects of social media, customer behavior, business strategies, etc. claimed to be as social CRM. This seemed to be yet another one, albeit in a completely new direction very different from what others have been pushing as social CRM. I have been trying to figure it out for the past 3+ yrs, and you could read my musings over at my blog: http://j.mp/prem_k. Or you could look at this excellent resource guide put together by a leading thinker on social CRM: http://j.mp/scrmrg1. May be that would help you realize where I am coming from. I certainly understand your predicament and will do the best I can to help you out. I think in such a new and developing industry, the terms of “Social CRM” are ambiguous, although I’m not entirely sure that’s a problem. “CRM” in itself is just how businesses or organizations manage relationships with their consumers. Traditionally, this would have been a division of PR, albeit an opaque division in which interaction between businesses and customers would be handled on a 1-1 basis with only bad word-of-mouth at stake for businesses. “Social CRM” is the same idea (1-1 relationships); however, these relationships have been unveiled by Social Media capabilities and are transparent for the world to see. It’s inevitable that this trend continues, as consumers now have a way to hold companies accountable for their handling of relationships. I will certainly take a look at your blog and the one you referenced as soon as I have a minute and get back to you. Thanks for the comment! If you’re not already, I’d love it if you’d follow me on Twitter @danielmason1 as you have some great insight.